China's air quality improved substantially last year, the environment ministry said Monday, following a government crackdown on pollution and a weakening economy. The country's economic miracle has rested firmly on the output of goods like steel, coal and cement, the production of which are all heavily polluting. 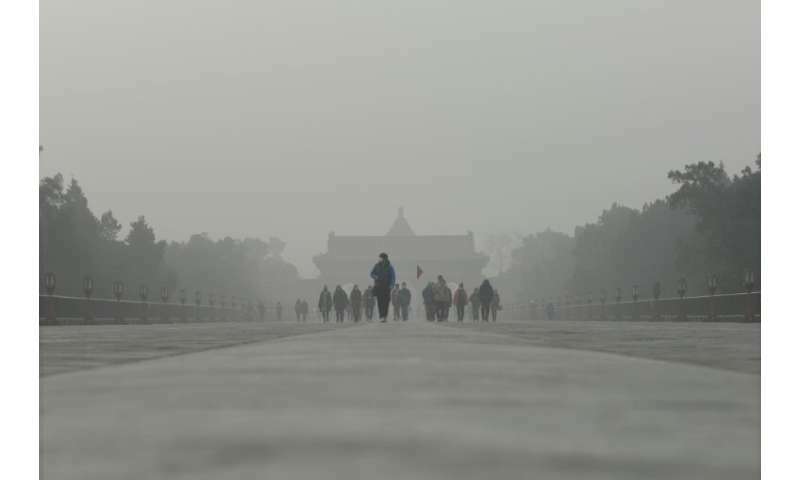 But last year the average level of microscopic airborne PM2.5 particles—which penetrate deep into the lungs—in 338 cities stood at 39 micrograms per cubic metre last year, a 9.3 percent year-on-year fall, according to a ministry report. "We resolutely oppose relaxing or being more lenient with environmental supervision and regulation," he said at a press conference on the sidelines of China's annual parliamentary meeting. We cannot "sacrifice the environment in exchange for economic growth," he added. China's economy grew at its slowest pace in almost three decades last year, with 6.4 percent annualised growth in the last three months of 2018. Government authorities also ramped up enforcement of environmental regulations last year, levying a total of 15.28 billion yuan ($2.27 billion) in administrative penalties, a year-on-year boost of 32 percent, according to the ministry's report.